The moment I saw Jeremy Pettis’ thesis project I knew it wasn’t typical student work. 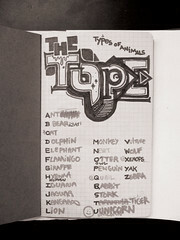 In “Twenty-Six Types of Animals”, each remarkably original lettering style manages to capture the essence of a beast. Many of the illustrations achieve this while avoiding obvious visual references or literal shortcuts. And since it’s Feb. 14, here’s a Valentine’s Day slant for you: Pettis began work on the project on the night of his first date with Nancey, who is now his girlfriend. Aww — sweet, sweet art school love. The immediacy and creativity of Pettis’ work has spread like wildfire through the design blogosphere. What’s missing on the project site are the written motivations behind each piece. So asked the artist if I could publish a few of those descriptions here. But first, let’s meet Mr. Pettis. S. Coles: What was the goal of your thesis? Jeremy Pettis: My main goal was to have fun. Seeing as this was going to be a huge project, and also my final design project for my education, I thought it would be best to do something I’d enjoy. I knew that I wanted my project to include some sort of creative use of lettering. The animal idea began as a joke but then I realised that it would be a great way to bridge the gap between people who are into type and the average person. Everyone knows and loves animals so it was something familiar to lead the viewer through the unfamiliar. JP: I initially went to MIAD because I was very into painting and drawing in high school. After my foundations (first) year I figured that graphic design would be a better career than being a full time artist. Had I known I would be going into design I probably would have researched other schools. I still feel that it really doesn’t matter what school you go to, you need to have passion for what you are doing and push yourself. You can’t wait for an instructor to push you to where you need to go. I had a few very talented friends in my class. Most of my creative development happened outside of class with this group. We were all pretty serious and genuinely looking to help one another do better. The professor that I had for my thesis class was very harsh. For a while a guard had to follow her to her car at night. I guess someone had made threats. She was great because you could totally be in love with something you did and she just wouldn’t get it what-so-ever and make you re-do it. This was awesome because otherwise I wouldn’t have created so many variants or explored so many directions. SC: What inspires you? What do you read and look at? What websites do you visit? 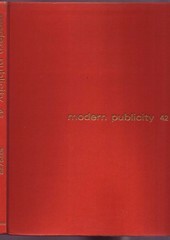 JP: I found these old design annuals called “Modern Publicity”. They have some great work from all around the world. I found a few from 1967–78 on Amazon fairly cheap. Collecting old design books can be a very expensive addiction. I love seeing great work from the pre-digital era. It seems everything was a little more thought out and planned. Two of my favorite design magazines are Grafik and Computer Arts. 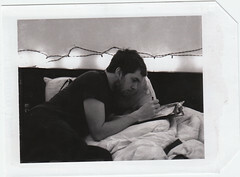 As for websites, Flickr has to be one of my biggest sources of inspiration. Whether it’s my friends work or photos or classic book covers people have scanned. There is also that new type blog TypeNeu that is pretty cool because it’s just type. I used to visit Newstoday constantly, but that has since died and been reborn into the more complex QBN. FFFFOUND! is nice because it suggests other things that are similar to whatever you’re looking at. I always keep my eye on Burlesque’s store and UpNorth. Both of these studios are constantly cranking out inspirational work. SC: What are you up to now? JP: I have a day job at DesignScout where I’ve worked since I was a junior in college. I’m working on some shirts freelance for sixpack france. I do some work for this band in town called The New Loud and I’m taking on other freelance illustration gigs. Cobras are the world’s largest venomous snakes. Although the cobra has enough venomous power in one bite to kill an adult elephant, it generally prefers to avoid human confrontation. After learning this I decided to play down the villainous side of the cobra and focus on its size and hypnotic stereotypes. With its interlocking loops, this lettering has a hypnotic swirl to it and a sort of thickens towards its mid section. I built the letters so that they would include many of the cobra’s physical features, but presented in a less literal way to allow the readers to interpret it their own way. Some may see a tongue, others a hood with eyes. Since dolphins reside in water, I thought it would be fun to execute this lettering in a liquid based medium. Making it very fluid and playful, I rendered the letters by hand with a brush and India ink. This process was fun, giving me a lot of room to play with the movement and flow of the type. I scanned and tweaked the letters to make their inner movements a little cleaner and slicker. Now looking back at it, the illustration took on the general shape of a dolphin. This was completely unintentional, but it interests me. At first glance, the jellyfish is a beautiful creature. Yet, it is also capable of inducing extreme pain. As a whole, the jellyfish is symmetrical and gelatinous. I didn’t want to make this type seem painful or scary, I wanted it to be very fluid and symmetrical. Luring you in to come run your fingers across it’s long dangling letters. The only thing that should be intimidating about this is the word itself. This illustration most definitely resembles the physical characteristics of the jellyfish. I didn’t necessarily want to do this, but I found people really enjoyed it. The manatee is like a large aquatic potato or pickle. They’re not aggressive at all and are very slow moving. They are very plump animals that are extremely vulnerable. For the illustration I decided to clump the letters in a loaf. I wanted the letters to have as little movement as possible, just some large lazy, blob-like letters that you could envision being very buoyant. The only exception to these lazy rules I set on myself was the ‘M’. I decided to give it an appendage that could unify the loaf like structure and also provide some localized movement. A newt’s body has a very smooth moist surface. Compared to the rest of its body, it’s legs are tiny. I chose to make the letters of this illustration very robust. They are mostly slick round letters with small rounded cuts. Having had a newt as a child I know they have an undying appetite and will consume until they’re very overweight. I basically just made this a very gelled overweight treatment with chubby little appendages. Originally I had added little reflective highlights, but in the end I felt that they took away from the overall legibility without adding much aesthetically. The penguin is a streamlined bird that relies on its group (rookery) for warmth and survival. Their stubby bodies move awkwardly out of the water and I thought this would be a good chance to make some awkward, interesting letters. I made the characters very sleek and streamlined, like a fat penguin would be, but I tried to organize them into a very awkward cluster that functioned as a whole. Penguins are also loyal to their mates during their mating season and rely on them heavily for survival. As seen in some documentary movies, penguins seem to have feelings of love for their mate, although it is impossible to prove. To pay homage to the penguin love I based most of the characters off of a heart like shape. The quail is a small plump bird. The most distinguishing feature of the quail is it’s crown feather. For this type I made the type fat but at the same time small by making it’s chubbier portions hollow. This shows that although the quail is a chubby little bird, it is still frail and easily overpowered. It’s simply fat, not powerful. To top it off, I added a crown feather like appendage to the ‘Q’. Tigers are fierce carnivores. They kill and eat anything as small as a rabbit and as large as an adult elephant. Their choice killing techniques are tearing out the throat or severing the spinal cord. I saw the tiger’s ferociousness as an opportunity for some wild mark making. I decided again to use the brush and India ink. I did a lot of fast paced swipes of the brush to create the letterforms. After dozens of tries I picked out what I felt to be the perfect specimen. The illustration is both powerfully thick and also extremely intimidating due to its bloody appearance and sharp edges. I left almost all of the overspray and brush marks to give it that stone cold carnivorous feel. The Yak in the wild is a tremendously powerful creature that can stand its ground against almost anything. It also has a thick coat of long, coarse hair. I made this my thickest and sturdiest typographic study. Then filled in the negative space with a stern crop of rigid lines to emulate the impenetrable coat of hair the yak adorns. The edges of the type are sharp to let you know that the yak is not only powerful, it’s dangerous. Himalayan yak hunters needed to hunt in groups. The blunt force of a single yak was more than enough to kill two men at once. If threatened, the yak’s immediate instinct is to kill. Mess with the yak’s type, and like the yak, it will kill you. I love this, it is really inspirational and just a cool treatment. So creative! It reminds me a bit of Bembo’s Zoo only Pettis gets a lot closer to representing the “feel” of each animal. I love Fruit Bat, Cobra, and Lion. I just love Jeremy’s work. Its inspiring, different and I really like his attitude. Its so true that its what you bring into your project, and not what the institute is all about. It is wonderful work. The newt is certainly my favorite. This is a very cool project. Some of the words suffer from legibility, however. Maybe it didn’t matter for the purpose of the project, but it’s cool anyway!! This is beautiful work. I love how thoughtful the lettering is. 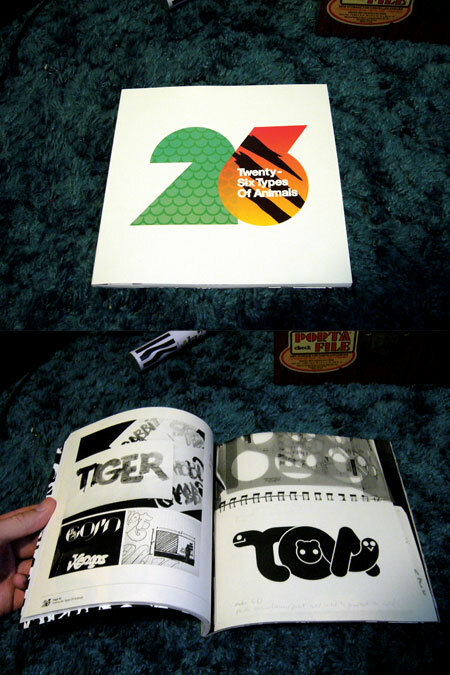 The tiger and jellyfish are great! This is hard but beautiful work. Wonderfully imaginative work. If you need suggestions of places where you might like to start your career, let me know. You might also like to check out my blog site, : Success Secrets of The Graphic Design Superstars for ideas. These are beautiful! They each express the animal wonderfully. Very inspiring; I especially love the Zebra.